When Google's upcoming Android 4.1 Jelly Bean mobile OS hits devices in July it will incorporate "Project Butter," a processing framework designed to speed up UI responsiveness and graphics processing. The aptly-named Butter is expected to reduce latency, increase intuitiveness and make for a smoother overall experience in an effort to address the prominent issue of perceived lag seen in previous Android iterations. As Android User Experience Director Matias Duarte put it in a Nexus 7 presentation video shown at Google I/O on Wednesday: "We declared a war on laginess." According to Google's Android developer website, Butter uses so-called "vsync timing" across all graphics drawing and animations to ensure a constant frame rate, allowing for a smoother operating environment that is supposedly "effortless" and "intuitive." All graphical assets including application rendering, touch events, and display refreshes are synced against the vsync clock which runs at a snappy 16 milliseconds. Google is focusing on user interactivity by reducing the lag time between screen touch and UI response, claiming that Jelly Bean will actually anticipate where a finger will be at the moment of the next screen refresh. While the statement may include a dash of hyperbole, it is possible for an OS to "guess" what graphical asset a user will likely touch next in certain instances like radio buttons or "yes/no" pop up overlays. It is unclear how the OS calculates this input data, but apparently the feature "results in a more reactive and uniform touch response." Finally, after long periods of inactivity, the newest Android build will apply a CPU boost to the next touch event to further reduce perceived lag. One of the more unique additions to Jelly Bean is the new "systrace" developer tool that collects data directly from the Linux kernel and displays the gathered information in a "vertically stacked" time series graphs. The process, dubbed "tooling," uses systrace to help in isolating rendering interruptions and other OS issues, affording a bird's-eye view of system operations. Google's systrace tool is available in the Android SDK (tools R20 and higher). While the overall benefits of Butter have yet to be seen, the graphics-centric initiative looks to make up some ground on the Apple's iOS. The two operating systems have been compared numerous times before and many pundits believe iOS to have the smoother, more intuitive interface though the playing field may be leveled when Jelly Bean arrives next month. 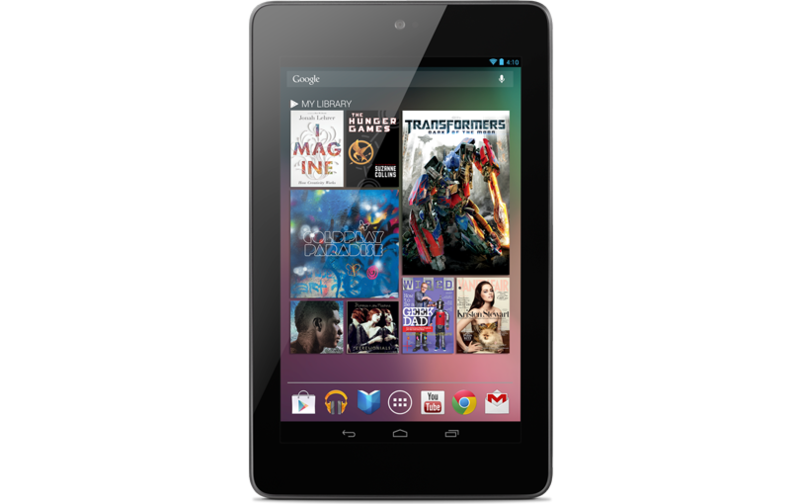 One of the first devices to sport Jelly Bean will be Google's own Nexus 7, a 7-inch tablet announced on Wednesday that hopes to nibble at the iPad's massive marketshare. The product should be an ideal testbed for Butter as it uses an NVIDIA Tegra 3 quad-core CPU and 12-core GPU chipset to power a high-resolution 1,280-by-800 pixel display. According to Google's own website, the system will allow for animations of up to 60 frames per second and can chew through edge-to-edge 720p video.